The State government and Make in India Korea Center (MIC) signed a Memorandum of Understanding (MoU) to set up Korea Industrial Complex in the State. As per the MoU, the Andhra Pradesh Centre will be established at Busan in South Korea. The MIC will also conduct outreach programmes in Korea for the promotion of investment and business in AP. AP unveiled the best industrial policy and was offering best packages to the investors. Isuzu, Hero, Bharat Benz and Kia Motors were a few automobile giants that have footprints in AP. Saudi Arabia Crown Prince Mohammed bin Salmanhas been voted the Time magazine readers’ Person of the Year, despite spearheading the continued bombardment of Yemen, leading to the starvation of its citizens. The award goes to those who “for better or worse” influenced the year. The 32-year-old scored 24 percent of the vote, with the #MeToo movement against sexual assault and harassment. Bin Salman overtook Hillary Clinton, Vladimir Putin and even the Pope to be crowned the people’s choice, winning far more votes than the three combined. In terms of its Framework Agreement, with ratification by Guinea as the 15th countryin November 2017, the International Solar Alliance (ISA) now become a treaty-based international intergovernmental organization. The International Solar Alliance is India’s global initiative. It aims at increasing solar energy deployment in member countries. Russiawas banned from the 2018 Winter Games by the International Olympic Committee over its state-orchestrated doping programme, but clean Russian athletes will be allowed to compete under an Olympic flag. 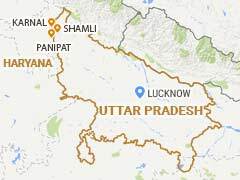 Uttar Pradesh’s Shamli district was included in the national capital region, taking the total number of districts in the NCR to 23. Cities in the NCR get funds at “attractive” interest rates from the National Capital Region Planning Board (NCRPB) for infrastructure development. Besides Delhi, there were 22 districts -13 of Haryana, seven of Uttar Pradesh and two of Rajasthan in the NCR so far. On the basis of an assessment of the current and evolving macroeconomic situation at its meeting, the Monetary Policy Committee (MPC)decided to keep the policy repo rate under the liquidity adjustment facility (LAF) unchanged at 6.0 percent. Consequently, the Reverse Repo Rate (RRR) under the LAF remains at 5.75 percent, and the Marginal Standing Facility (MSF) rate and the Bank Rate at 6.25 percent. The projection of real GVA growth for 2017-18 of the October resolution at 6.7per cent has been retained, with risks evenly balanced. The Surface to Air Missile AKASH with indigenous radio frequency seeker against target Banshee has been successfully launched from the Launch Complex-III at ITR Chandipur, Odisha. The Radars, telemetry and electro-optical systems along the coast have tracked and monitored all the health parameters of the missile. With this success, India has achieved the capability of making any type of Surface to Air Missile. Commerce and Industry Minister Suresh Prabhu let out more incentives while unveiling the mid-term review of the Foreign Trade Policy 2015-20with a view to boosting exports. The Union minister stated that the Merchandise Exports from India Scheme (MEIS)incentive rate will be raised by 2 percent across the board for labour-intensive/MSME sectors. The focus of the FTP will be on exploring new markets and products as well as increasing India’s share in traditional markets and products.